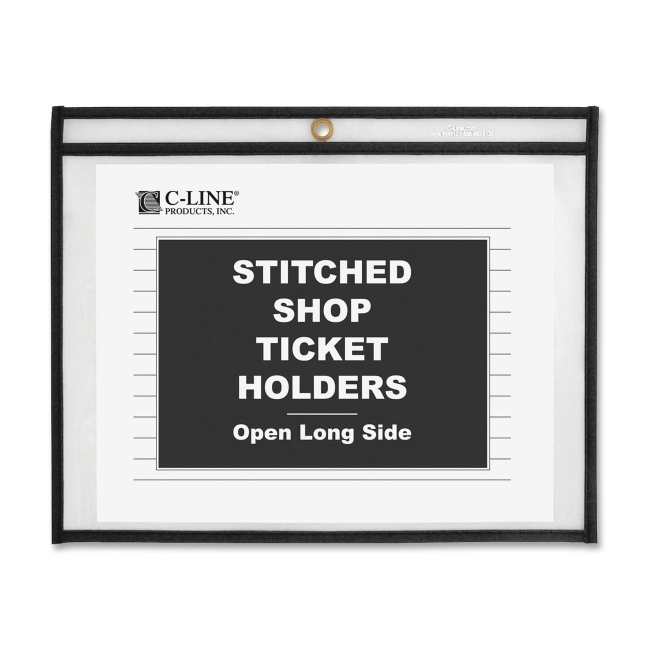 Side Load Shop Ticket Holders are ideal for a variety of uses in manufacturing, inventory control or wherever paperwork needs to be posted. Clear fronts and backs allow easy visibility of documents, which insert and lift out easily for changing. 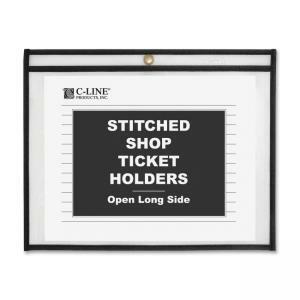 Shop ticket holders are made of strong, rigid vinyl with reinforced taped and stitched edges for longer product life. They include sturdy metal eyelets for hanging.